There are many accredited facilities that offer effective drug addiction treatment methods. Some of these methods include onsite detox or, at least, a nearby detox facility. This is the first stage of treatment, ridding the body entirely of all substances. In order for effective drug addiction treatment methods to be successful, there has to be a clear foundation to work with. 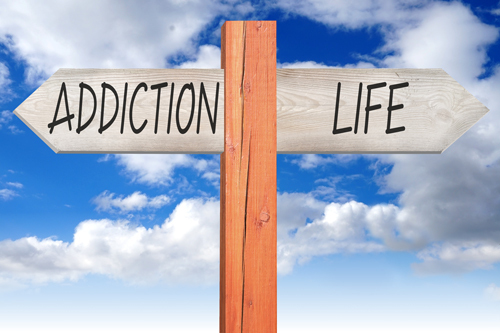 Individual therapy and group counseling are also effective drug addiction treatment methods. Many people struggling with addiction have suppressed emotions, situations, or events. Treatment with licensed counselors in a group and individual setting can help address underlying issues. At the end of the day, drugs and alcohol are just symptoms of something much deeper. Removing the substances is helpful, but it must be replaced by healing therapy. This can also be in the form of cognitive behavioral therapy, which helps address behaviors associated with addiction and ways to alter the cycle. Continuing care with a therapist can help maintain the tremendous work that has been accomplished. The 12-step program of recovery is one of the most effective drug addiction treatment methods. When this is combined with inpatient care, therapy, and a structured and safe living environment, the chances for success increase. Many people new to recovery are unfamiliar with what the 12-steps teach or perhaps have misguided information. Treatment facilities that implement the 12-steps will help clarify any misunderstandings and provide education into what the program is really all about. The 12-steps provide a design for living life sober, one day at a time. Education is extremely helpful in healing from the disease of addiction. Proper education can help people become aware of what is taking place on an emotional, biological, and intellectual level. Educating family and loved ones can also be an effective drug addiction treatment method because addiction is a family disease. Everyone is deeply affected, but healing is possible. Proper nutrition, exercise, and overall physical health can contribute greatly to recovery. Most facilities provide nutrition experts, physical fitness education, and ways to meditate. When the spiritual and emotional aspect of recovery is coupled with physical awareness, balance can be achieved. Effective drug addiction treatment methods should be implemented as a long-term solution to the disease of addiction, not a quick fix. To find out more about services offered by Willingway southern Georgia drug rehab contact us 24 hours a day at 888-979-2140, and let us help you get started on the road to recovery.